It’s only natural that we turn to Lauren Oliver when we’re talking love stories as part of our Literary Swoon series, especially since Lauren describes herself as an “avid reader.” Delirium explored a world in which love is a disease and the young couple at its center have to overcome great odds to be together, so it comes as no surprise that the author herself seems drawn to stories where love doesn’t necessarily come easily. Beware the spoiler below if you haven’t read the book. I was super into Jane Austen as a young adult! I think I’ve read Pride and Prejudice about 87 times, no lie. My favorite romantic scene in a book is DEFINITELY when Mr. Darcy and Elizabeth FINALLY get on the same page about their feelings for each other. The happiness which this reply produced, was such as he had probably never felt before; and he expressed himself on the occasion as sensibly and as warmly as a man violently in love can be supposed to do. 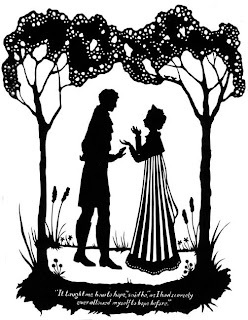 Had Elizabeth been able to encounter his eye, she might have seen how well the expression of heartfelt delight, diffused over his face, became him; but, though she could not look, she could listen, and he told her of feelings, which, in proving of what importance she was to him, made his affection every moment more valuable. Lauren Oliver is the New York Times bestselling author of Before I Fall, Liesl & Po, and Delirium. Stay in touch with her via her website, blog, and Twitter for all the latest news! 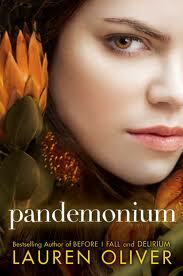 Her latest title Pandemonium (Delirium #2) will be released on February 28, 2012. I’m upset I never saw your feature with Lauren! I adore her so much. Call me crazy but I could never get into Pride and Prejudice. I’ll have to try it again methinks. Love the quote and of course, Mr. Darcy. It’s so ROMANTIC. I LOVE Lauren Oliver! 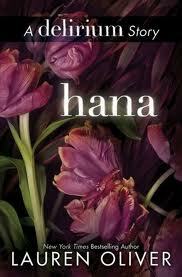 I’ve read all her books and she sure knows how to write a good romance into her books! I met her in real life too and she’s such a sweetie! So I agree that this is an incredibly romantic scene and a perfect choice! Mr. Darcy is perfection. He is the man which I measure all my fictional crushes against. Awesome choice. Somehow, when you read stuff like this, it makes you realise that writers aren’t that different from you – we all started with same books. How can you have a better swoon than P&P? I mean, honestly. I love love love Pride and Prejudice. That scene with Mr. Darcy is enough to turn me into a poodle of hormone. Haha, nice pick, Lauren! Lauren Oliver with the classic. It goes without saying that P&P is the ultimate love story. I’m so excited she’s doing a reading festival near my home next month. I hope I can meet her. OMG YES! It’s about damn time someone picked this scene. I know, I know, it’s almost too cliche to pick, but so many of us adore it because it is one of the absolute best swoon scenes in all of literary history! My heart fills up and gets all warm just reading it. It’s absolutely one of the best literary swoon scenes ever. I never tire of reading it, and I’m so happy Lauren picked it so we got to read it again! sigh, Pride and Prejudice! Always a classic choice and a great pick. Pride and Prejudice! *dies* Definitely one of my all-time favorite books. The love aspect is so subtle, Austen definitely knew what she was doing (understatement). Lovely pick by Lauren. Thanks for sharing! awww i love the quote! OMG Swoon over Darcy and love that scene from P&P and yeah love that Lauren loves here too. *sighs happily* This has to be the original swoon-worthy scene…at least, it was among my first! I read P&P for the first time when I was 12, and it is a forever favorite. Hee hee. I like how you work in a Dessen reference, Joy! 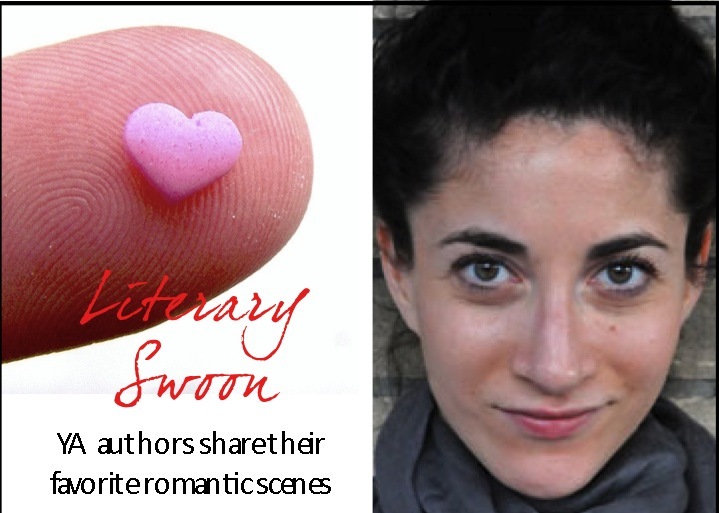 Austen just writes the sweetest romantic scenes, even though her characters never even kiss! Exactly. Some of the best romantic scenes in books and film leave absolutely everything to the imagination. Lovely choice though. It’s a classic love story. Jane Austen is just pretty much my idol. :) LOVE THIS! I love Pride and Prejudice. It’s such a great book. I re-read that book just about every year. And that is one of my all time favorite declarations of love. So great! Can you believe I’ve never read it? BTW, awesome cutouts. I definitely adore this dying art form.